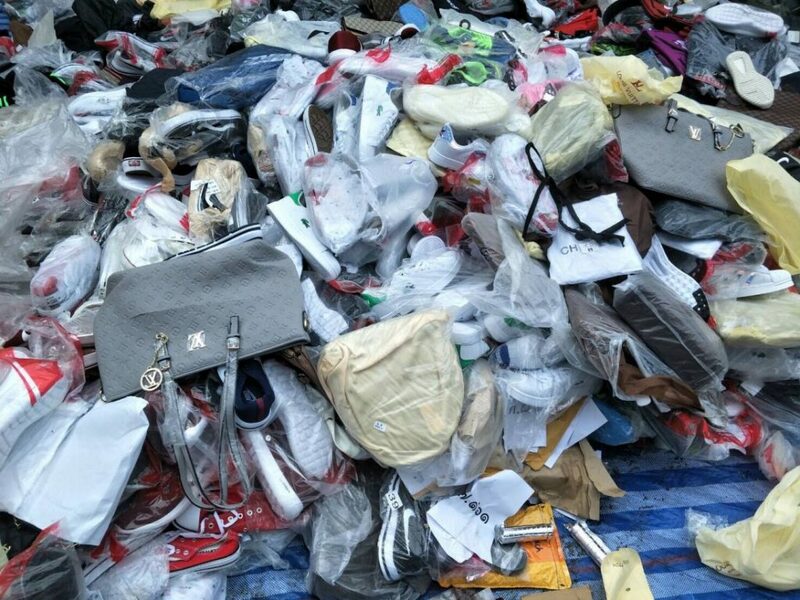 Fake goods, real machine to destroy it all. 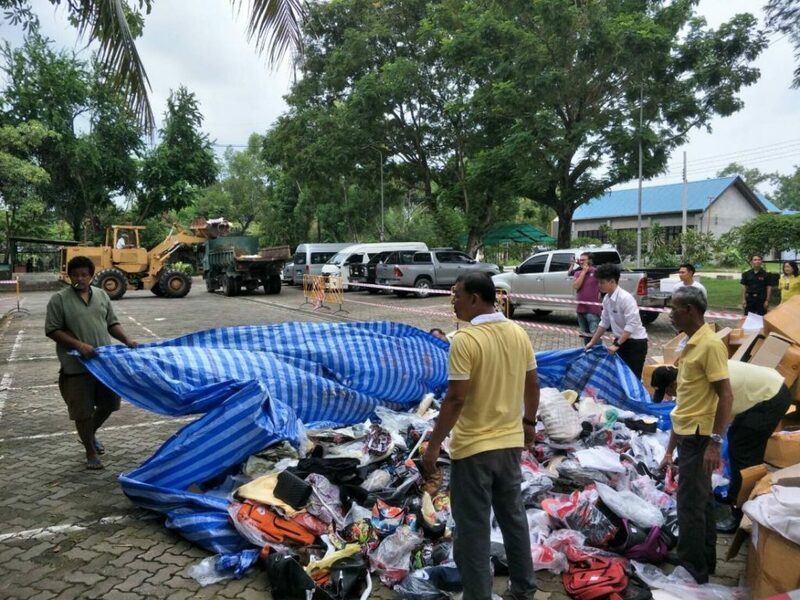 About 3,000 counterfeit items, valued at more than one million baht, including prohibited imported goods, have been torched at the incinerator in Phuket Town today. 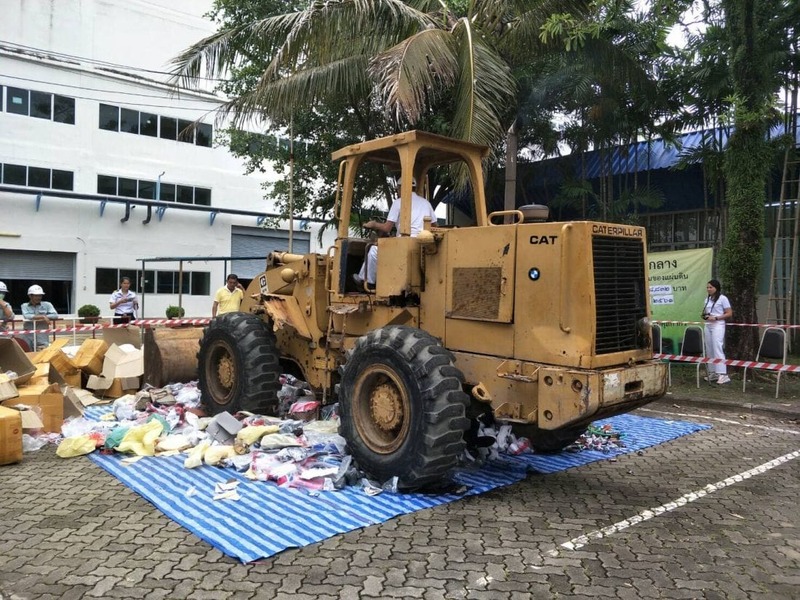 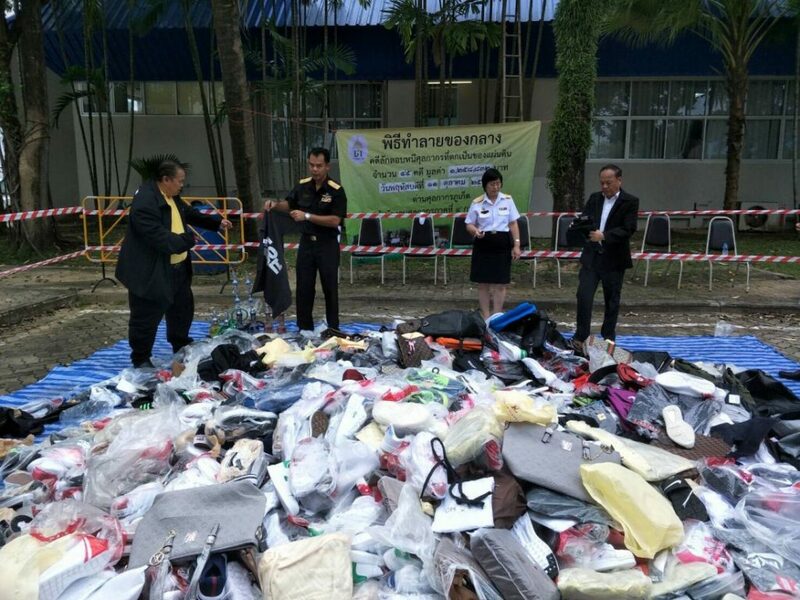 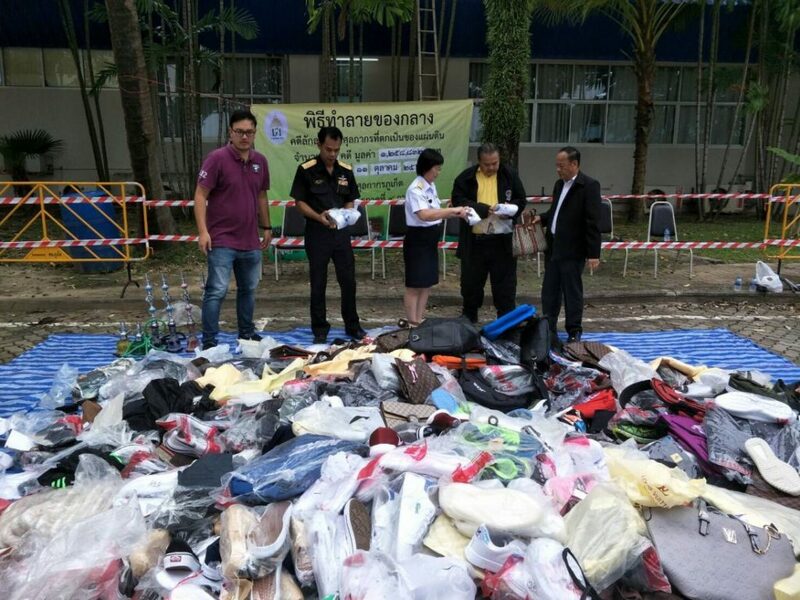 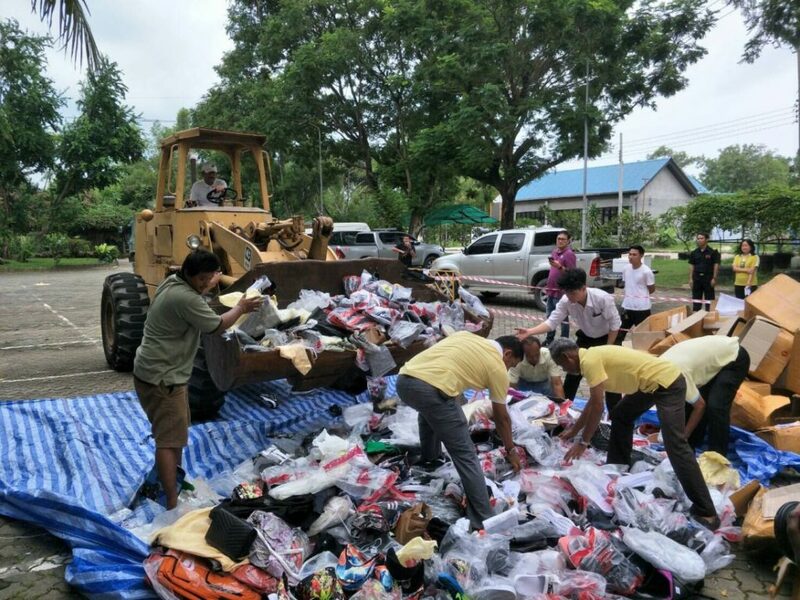 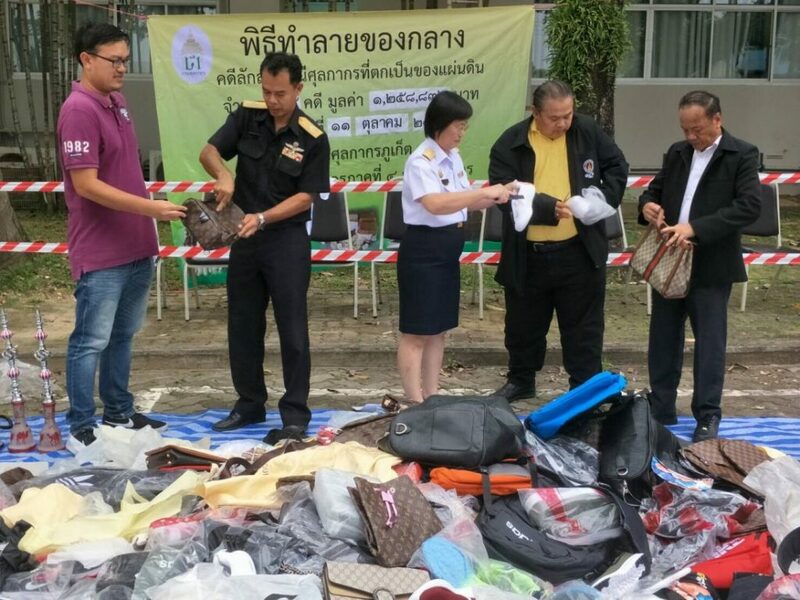 The destruction of the fake goods was held this afternoon and led by Phuket Customs Office Chief Kanjana Suwachino.